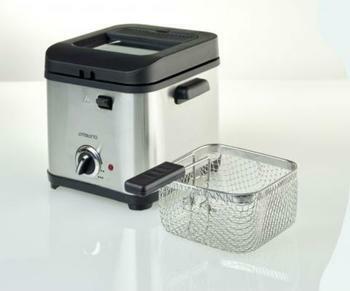 ALDI is recalling approximately 35,000 of its Ambiano mini deep fryers due to a problem with the heating element that can cause fires or increase the risk of serious burns. The recall covers two models -- a stainless steel model bearing a barcode number of 20072483 and a red model bearing a barcode of 20072490. There have been three reports thus far of the deep fryers catching fire; however, no injuries have been reported. The products were sold at ALDI stores across the U.S. from February 2018 to March 2018 for around $15. Consumers are being asked to stop using the fryers immediately and return them to the closest ALDI store for a full refund. Consumers can find more information by visiting ALDI's website and clicking on "Product Recalls." The company can also be contacted by phone from 8 a.m. to 6:30 p.m., Monday through Friday, by calling 800-366-9967.